Open House Dublin, Ireland’s annual architecture festival is back again this weekend. Running from 7-9th October, this festival celebrates architecture in Dublin by opening the doors of some of the capital’s most important buildings to the general public. Facilitated by hundreds of volunteers, Open House includes tours of architecturally important buildings, discussions, workshops and family activities. All events are free of charge, although most are on a first come first served basis and for a small number, places need to be booked in advance. This year’s theme, “The Architecture of Change”, sees an exploration of the positive contribution of collaborative architecture in urban spaces, as well as the evolving roles and uses of buildings in the city. A boat tour of the Dublin Docklands, guided by the Minister for Education and Skills, Ruairi Quinn and Seán O’Laoire of Murray O’Laoire Architects. This event takes place on Sunday at 10.30am, 11.30am & 12.20pm. NAMAlab is a project by 5th year architecture students in DIT Bolton Street which maps out alternate designs for NAMA properties in Dublin. 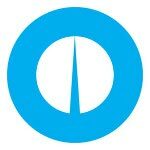 NAMAlab takes place on Saturday from 2-3pm on Fleet Street. Alan Mee and the Dublin Civic Trust are running an interactive tour, Urban Check-Up, allowing participants to learn how to measure and evaluate architecture and urban neglect. Pre-booking is required for this tour. The Dead City is a public light performance, scheduled for Saturday, 8-9pm, where all the Georgian buildings facing onto Merrion Square and Fitzwilliam Square will turn on their lights, and Number Twenty-Nine, the Georgian House Museum, will open its doors free of charge. One of the most lively events listed is Hair-raising Stories at the Waldorf Barbershop, with performances from storytellers, jitterbug dancing and music from the 1940’s. This event takes place on Sunday at 12.30pm, 2pm, 3.30pm & 5pm on Westmoreland Street. The LAB host Open Spaces – Art Architecture Citizenship, a one day workshop for teenagers exploring the day to day use of public space on Saturday. 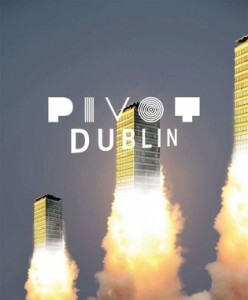 Screenings of Pivot Dublin’s – Conversations & Dialogue short films. The City of Change walking tour, led by Dublin City Architect, Ali Grehan, will explore architecture as a catalyst for change. Get a copy of the programme for Open House Dublin 2011 from the Culture Box in Templebar, or a number of County Council Offices. Alternatively you can download a PDF of the programme for €2 from their site.